If you are looking for information on the Friends & Family Pizza Buffet franchise business opportunity, Friends and Family Pizza Buffet franchises or Friends and Family Pizza Buffet franchising, then you have come to the right place. Welcome to Friends and Family Pizza Buffet! We provide a great dining experience and value pricing in an upscale atmosphere, conducive for family gatherings, parties, soccer team celebrations, school fundraisers, church youth groups, etc.! We also offer a very unique and competitive take-out menu! At Friends and Family Pizza Buffet, you have over 30 varieties of pizzas to choose from! If the one you want is not on the line, just let us know and it will be ready in under 5 minutes! Of course we offer the basics like cheese, sausage, and pepperoni, but we offer so much more! Most of our customers go for our tantalizing gourmet pizzas such as our Ham and Cheese Hoagie, BLT, BBQ Chicken, Cheese Steak, or Hot-Wing Chicken, to name just a few! But that is just the beginning! Our buffet also offers a variety of pastas and soup, garlic and cinnamon rolls, a full salad bar, ice cream and over 10 dessert pizzas to choose from! All for under $6.00 per person! Children under 8 pay less than $3.00 and kids under 3 eat free! What makes us truly unique, however, are our company goals and values ... To Honor God in All We Do ... To Help People Develop ... To Serve with Excellence and Value ... To Grow Profitably. Check us out! 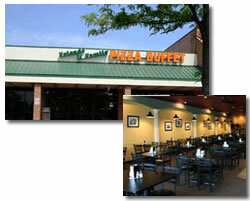 We are now offering Friends & Family Pizza Buffet franchises in regions throughout the country. This will provide qualified applicants an opportunity to operate and own an eat-in pizza buffet restaurant franchise. As a future franchisee, you would be part of a growing organization dedicated to developing this new and innovative restaurant concept. We are a new organization bringing a new concept to this part of the country. Because of the success we have experienced in our company-owned stores, we are confident of our ability to help a new franchisee get on their feet quickly in operating our business model. The value proposition to our customers provides our fantastic all-you-can-eat pizza, pasta, salad, and dessert for one low price in an upscale atmosphere surrounded by Roman columns and views of Italy. 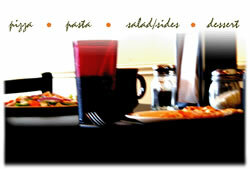 We provide a "family friendly" environment with great food and a service-oriented staff.